This is not the first time I am talking about Good Earth Beauty. In fact, Good Earth Beauty is a company I order from a couple of times a year now. They sell my absolute favorite bug spray. This time around I was sent Pumpkin Chai Shampoo and Lavender, Vanilla Lip Scrub which I can tell you will be another favorite. The Pumpkin Chai Shampoo smelled so good we didn't even get a photo before we used it so this photo shows it after at least five shampoos. It is probably the thickest shampoo I have ever used and a little goes a long way. It smells amazing but if you are sensitive to smell it could be overpowering for you. Personally I love it! The whole bathroom smells like it when I am done showering and I can't stop smelling my hair. 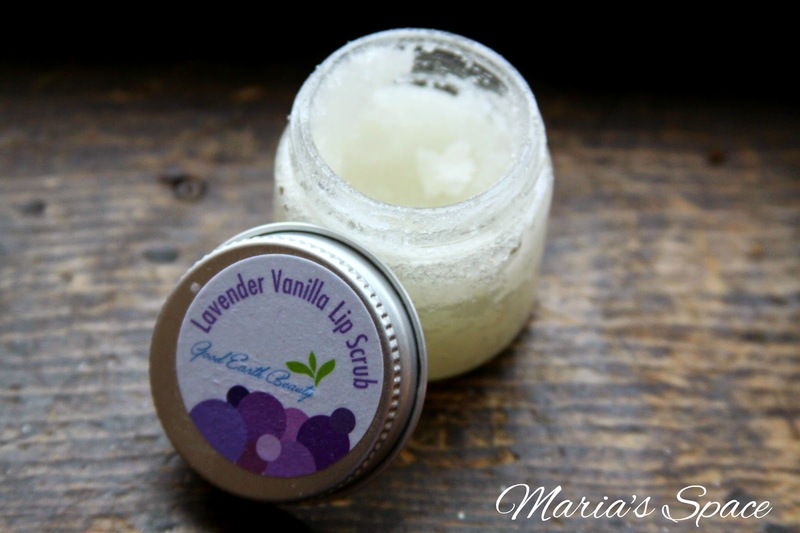 The Lavender Vanilla Lip Scrub is like nothing I have ever tried. This exfoliater for your pucker is a sugar scrub that not only smells and tastes amazing but also moisturizes your lips! You take some on your finger and rub it into your lips. The harder part is not licking it off but if you do....it's completely fine. It is after all natural made up of only sugar, organic sunflower oil, organic coconut oil, organic almond oil, organic shea butter, organic jojoba oil and flavor so lick away but as you know licking doesn't really help your lips especially in this weather. It was 35 degrees this morning when I woke up. 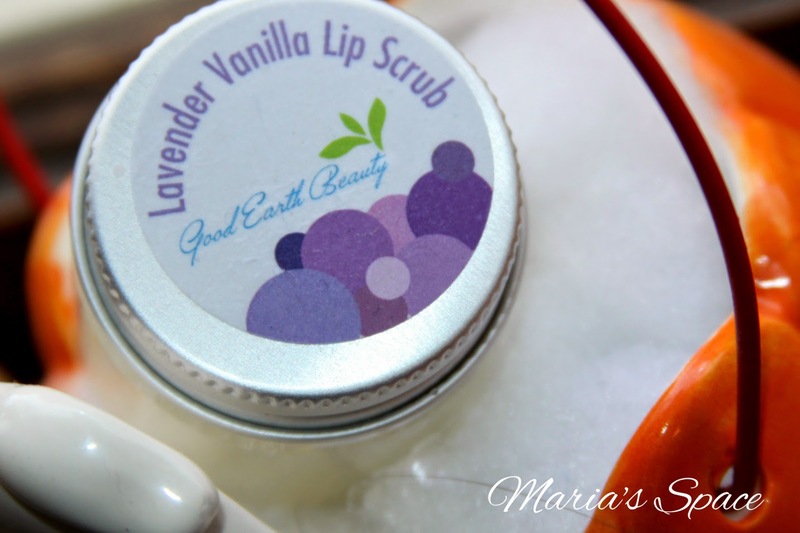 Good Earth Beauty also has body scrubs, lip balms, soaps and more so check them out. 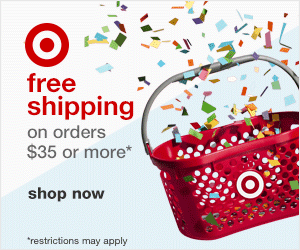 Also, enter for your chance to win the same products that I recieved by filling out the form below. Disclaimer: I received complimentary products for my honest review. No monetary compensation was received. All the opinions are my own. I'd like to try the Charming Cheeks Pure Mineral Face Color. i also love the Pink Grapefruit Body Scrub! grapefruit always makes me feel bright and refreshed! This looks like a great product I'd like to try. Thanks. 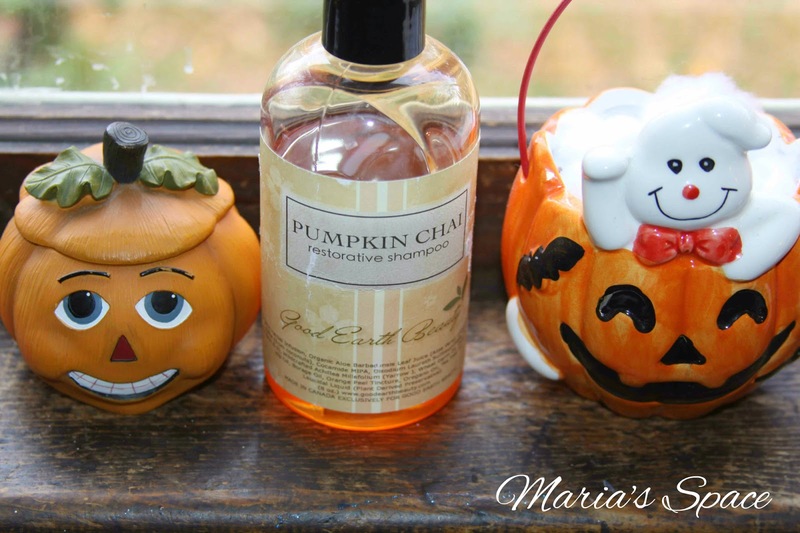 I would love to try the Pumpkin Chai shampoo too, plus the conditioner. The doggie soap looks good too. My daughter, Oksana, likes the body scrubs. Nice products! I would love to try the Eye Shadow Palette Celestial Andromeda from Gabriel Cosmetics. I would like to try the 100% Pure -Body Butter - Whipped Pink Grapefruit. I would love to try the grapefruit body scrub....I bet it smells heavenly. Body Scrub - Exfoliating Shower Whip Coconut Lime - yum! I would love to try this. sounds amazing! I would also love the Hand Cream Chocolate Deluxe Cupcake! I like the Green Apple and Ginger Body Wash! The Skinny Minnie Beauty Elixir Serum sounds great! I'd like to try it. Besides the awesome prizes here another item I saw that I'd love to try is the celestial Orion eye shadow palette. It looks like it has some great colors.... I also saw some awesome bubble bath I'd love to try, thanks for the Chsnce to win, I'm always looking for new natural beauty producrs to try and these sound like something is love. That lip scrub in particular sounds awesome.